Sinus augmentation surgery is also known as sinus lift surgery. It is a fairly common surgical procedure that allows dental patients who need dental implants but do not have enough bone to get the implants. Two common reasons someone may not have enough jawbone for proper implant attachment include bone loss from gum disease or previous trauma from a difficult tooth extraction. Dental implants are one of the top dental procedures for replacing teeth, as they are a permanent tooth replacement option that looks like one’s natural teeth. Because implants need to be fused to a dental patient’s jawbone in order for them to become a permanent part of someone’s mouth, the patient needs to have a sufficient amount of jawbone for the implant to properly connect to. Sinus augmentation, or sinus lift surgery, involves a dental professional adding more bone to a patient’s upper jaw with the purpose of attaching one or more dental implants to the bone. An experienced dentist will make a small incision in the upper jaw cheek area in order to insert the bone, which can be taken from the patient’s body or artificial substances can be used, i.e. calcium sulfate. While general anesthesia is most often used, patients are able to choose other forms of sedation. 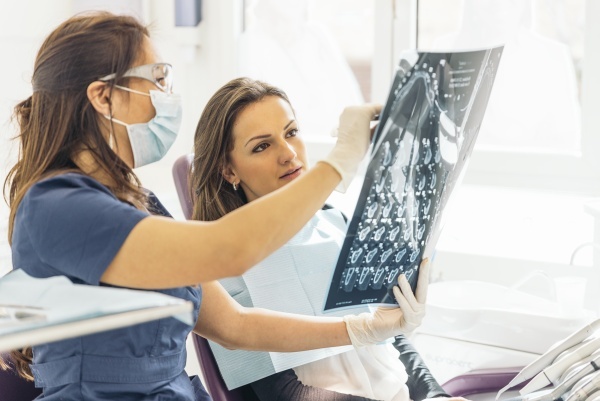 It is important for dental patients to follow the recovery instructions given to them by their dental professional for a successful recovery. Right after the surgery, the patient will experience some swelling, as well as minimal bleeding, which will slowly heal over the next few days. A follow-up appointment will need to be made about a week after the surgery so the dentist can make sure the patient is healing exactly as they should. Have questions about dental implants or a sinus lift? If you think that you need a sinus augmentation or know for sure that you are in need, the sooner you make an appointment to increase the sufficiency of your jawbone, the better. The reason you need a sinus lift is to get dental implants. When an experienced dentist recommends a dental implant, it means you have an empty space in your mouth that needs to be filled. The surrounding teeth will eventually move and shift, which will lead to additional oral health problems. Ready to make an appointment? We are here for you! « When Is Oral Surgery Needed?